Please be aware that there are many people, including those who profess to be receiving messages from Heaven, who have recently but firmly attached themselves to this mission to endorse the spreading of their messages and the selling of holy images that DO NOT COME FROM THIS MISSION. 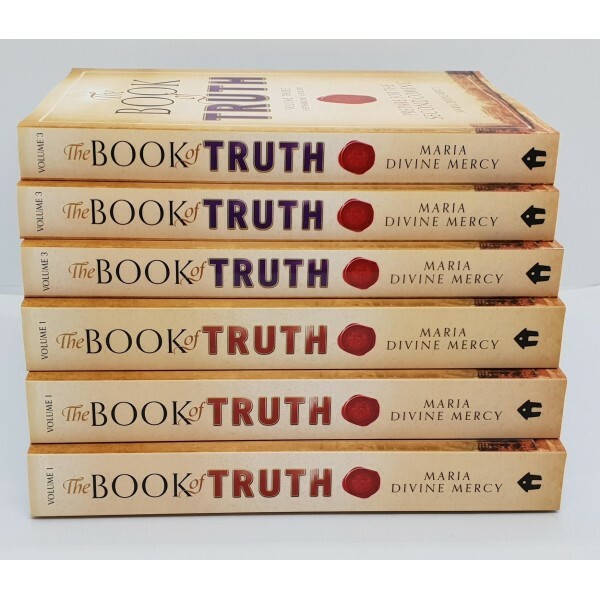 In the process, they are leading people away from the Book of Truth and the messages contained within it. If you truly believe in the Book of Truth you will know that it is impossible for any new messages or sacred images pertaining to the Book of Truth or the Second Coming of Christ to be given to the world by God since this mission began. Please pray for Ireland !! That they will NOT allow abortion on demand!! February 17, 2012 I am your beloved Mother, Queen of the Angels, the Virgin Mary, the Immaculate Conception. Our Lords Prophet suffers and she endures the pain and the agony with the Holy Family,Pray for her Dear Remnant,offer much sacrifice as her spirit is bewildered with the world and her task. She knows Our Lords hand is upon her and she knows that what has called to do is greater than she. This Mission, the final one sanctioned by my Father in His Plan, to bring final salvation to His children, will draw millions of souls to serve Him. They will come from every corner of the Earth. Many will not be conscious of their calling, until they pray the Crusade Prayers. It will be through the recital of the Crusade Prayers that the Holy Spirit will enrapture these souls and then they will be ready to carry my Son’s Cross.